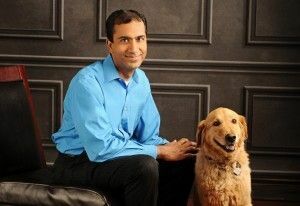 Aegis Living has has had the privilege to work with Dr. Rahul Khurana, M.D. to provide geriatric psychiatry to our Washington residents. His goal is to maximize the quality of life and functionality for aging residents who may be suffering from depression, anxiety, dementia and other mental disorders. Perhaps your aging loved one can benefit and find comfort by consulting with a geriatric psychiatrist to improve their quality of life and find relief from unnecessary suffering. A geriatric psychiatrist is a medical doctor who specializes in the prevention, evaluation, diagnosis, and treatment of mental and emotional disorders in older patients. Geriatric psychiatry treat common disorders in the elderly that include dementia, depression, anxiety, alcohol abuse, and sleep disorders. Geriatric psychiatrists create comprehensive treatment plans that address the physical, emotional, and social needs of an older patient to improve their quality of life. How can geriatric psychiatry help your aging parent? The geriatric psychiatrist will start with a complete family history of the patient’s health, family support, where they live, and their mental status. Because older patients often suffer from multiple physical issues or illnesses, as well as mental and emotional issues, geriatric psychologist’s approach is to treat the “whole person” – understand their history, current health issues, and new behaviors. Emotional and mental issues can affect the family members of patients. A geriatric psychiatrist can often recommend resources, education, and services to support the spouse and family members. They also work with other healthcare providers to recommend an individualized psychiatric care plans in coordination with the resident’s primary care physician, healthcare professionals, and family members to help the resident improve their quality of life and relieve suffering. Where to find a geriatric psychiatrist in your city? The Geriatric Mental Health Foundation has an online resource to find a geriatric psychiatrist who is a member of the American Association of Geriatric Psychiatry. Search by your city here. When you are looking at the overall healthcare and well-being of your aging parent, you may want to consult your parent’s geriatrician or primary care doctor about their mental and emotional health. A geriatric psychiatrist may be able to greatly reduce stress and help your loved one adapt to the changes in their lives. This will allow your parent to better focus on their physical health and add to their quality of life.